Here is a great resource that I have used in the past. 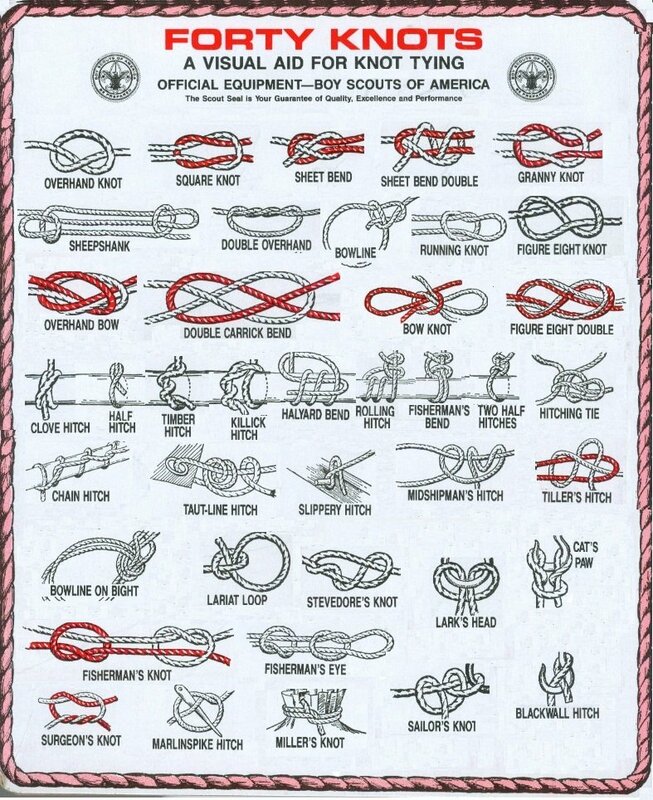 Forty Knots, from The Boy Scouts Of America Just something we all need to review once in a while. My cameraman (my 8 year old son) and I were spending the day out at our happy place and decided to end the day with some marshmallows over the fire. With the discussion we have been having on Twitter about what the best mallow is, toasted or burned, we decided to make a video and show you the RIGHT way. It’s Not The Lure You Use, It’s How You Wiggle Your Worm! !